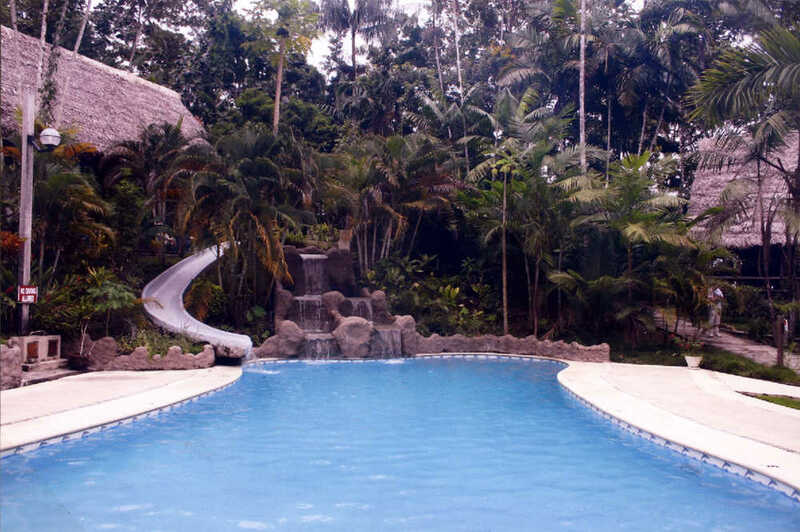 Swimming is an activity that has long been considered good for health. 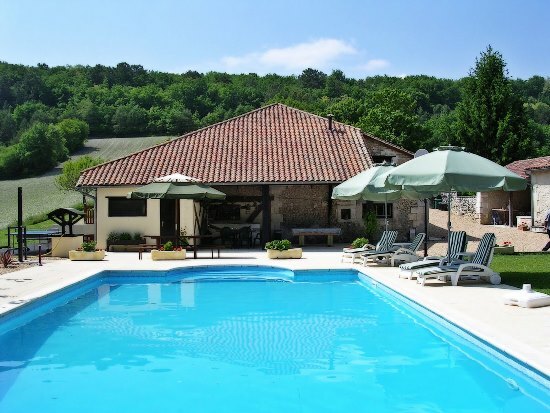 It is also an activity followed by many, so much so that it has now become an event in the Olympics. 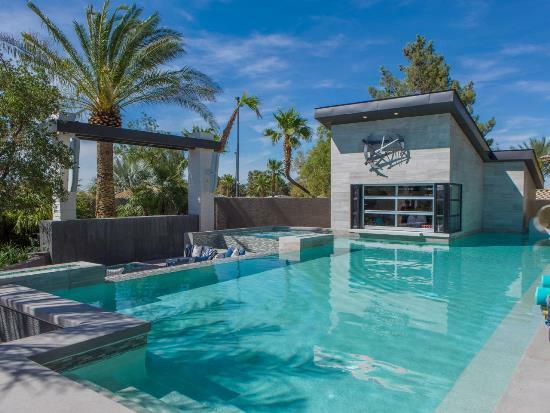 But swimming enthusiasts may not necessarily be sports persons for they may just be those who love a dip or two, especially if they get to take a dip or two right in their own backyard. Having a swimming pool in your backyard gives you just that much advantage of enjoying a relaxing swim anytime you want. If you are considering adding a backyard swimming pool, there are numerous ideas and designs that you can choose from. 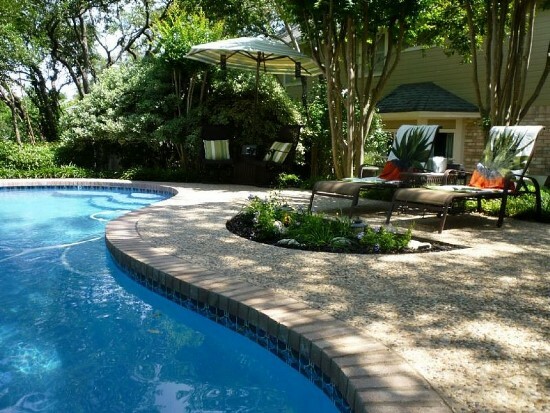 What’s more, you can choose pool designs according to the space available in your backyard. You can have the most elegant and beautiful pools in your backyard, whether the space is small or large. 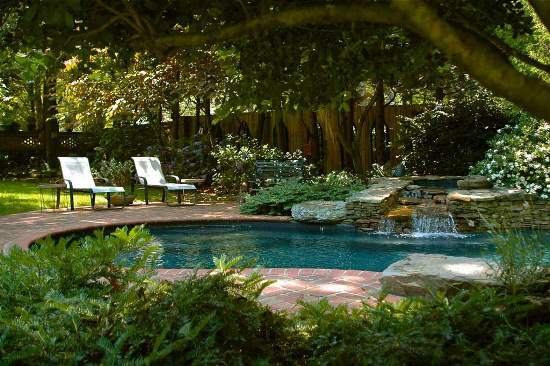 For small backyard spaces, you can choose among the chic and elegant swimming pool designs. 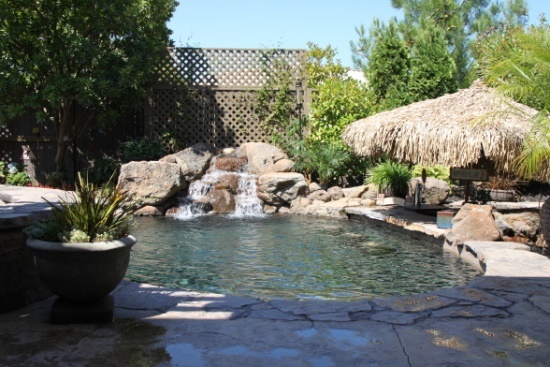 Small rectangular or square pools surrounded by wooden fence make a great use of your small backyard. 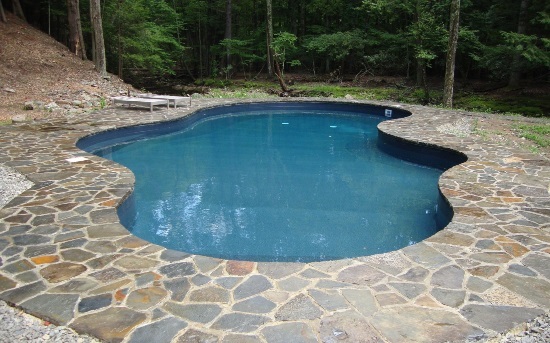 You can also have a shrunken lap pool design of the length of your house. With such a design, you can use your porch to arrange a seating by the pool. 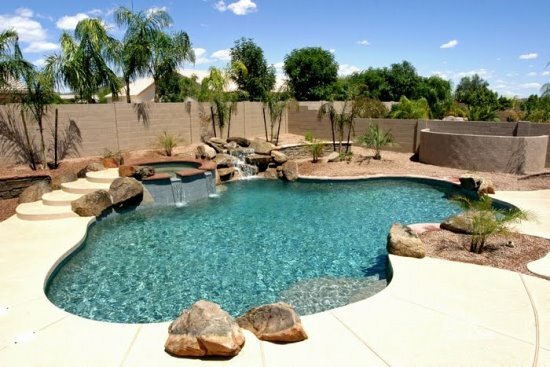 Despite having a limited backyard space for your pool, you can make the place look unique with the many swimming pool ideas. 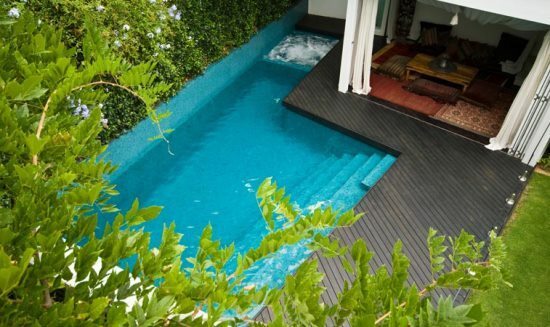 In that limited space, you can have a raised spa attached to the pool, enhancing the peacefulness of your outdoor space. 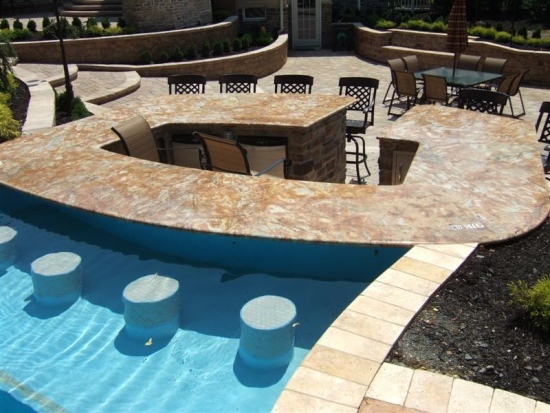 You can also have small but elegant fire pit designs included in your pool, creating a great fire-water combination. 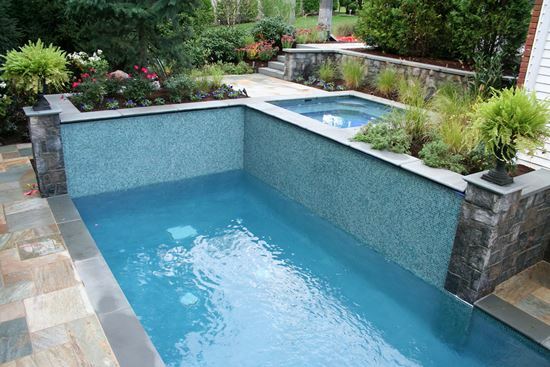 This fire-water combination can also be created in larger backyard pools, the only difference being that you can have larger and more elegant designs for your pools. 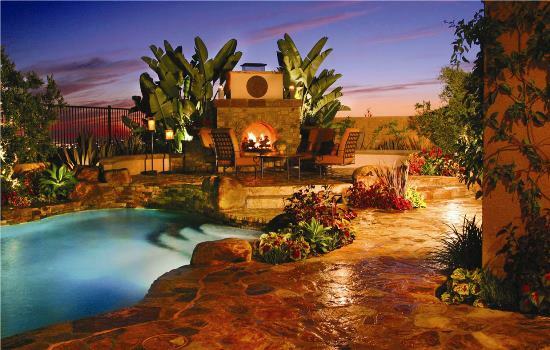 For larger backyard spaces, you can not only have a fire-water combination but can also create a more natural setting. 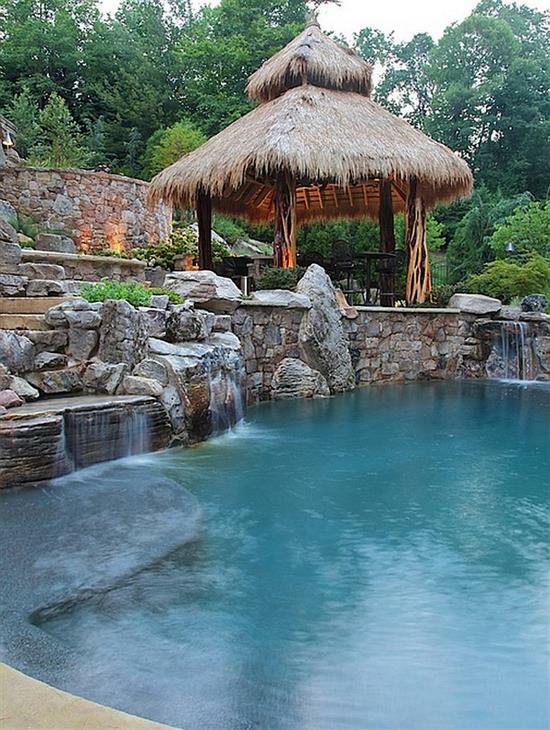 A plant hill through which a waterfall is made to run into the pool on one side while an elegant fire pit design on the other gives a unique, chic look to your pool. 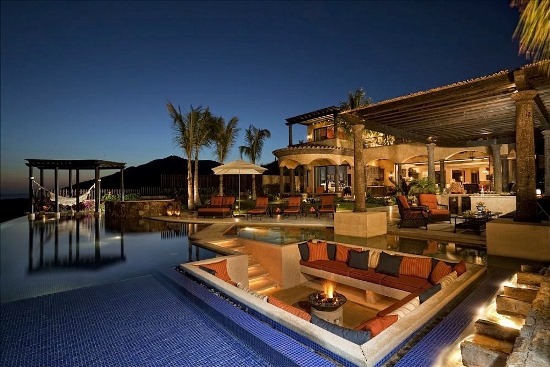 What’s more, you can also use this large area as a party place. 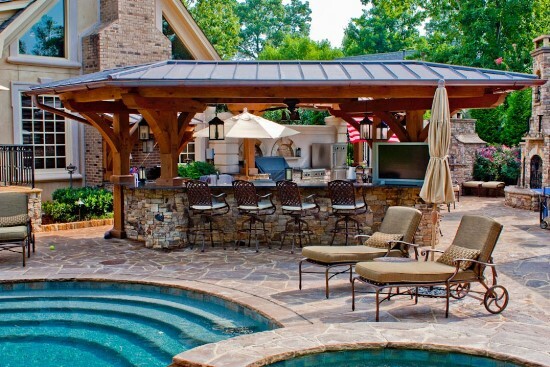 Furthermore, if you are one to have parties often, you can also think about having a mini bar just by your pool side, which will ensure you have your cool drinks right by your pool side during the day and drinks during the night. 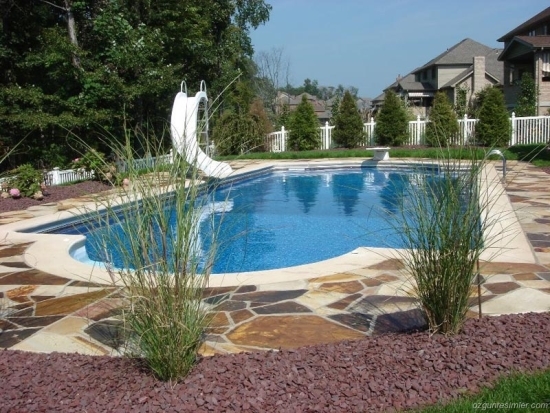 For kids you can create backyard swimming pools with a special setting. 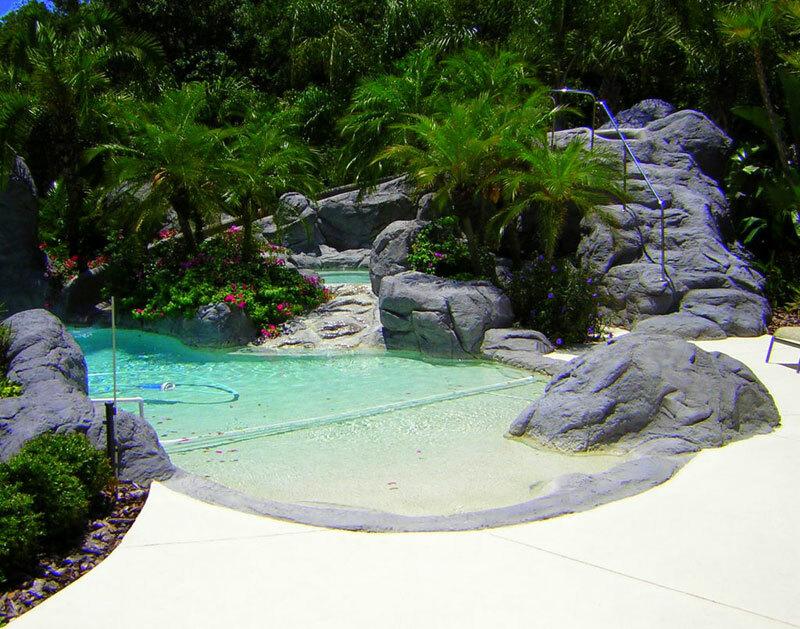 You can include a small slide by your pool side, giving your kids a real resort feeling right at your home. If you are a peace loving person and want a pool for just that purpose, you can enhance the place by adding plants, grass, rocks, and stone swimming pool designs for your pool. 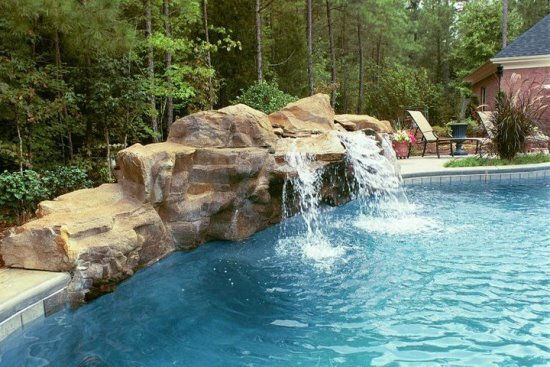 Waterfalls always make a great choice for such a setting and hence adding a waterfall to your swimming pool area will only enhance the peaceful environment you yearn to get in your backyard. Here, we have put forth 50 ultimate backyard swimming pool ideas for you to sift through and decide upon the one best for you and your needs. I really liked number 41. 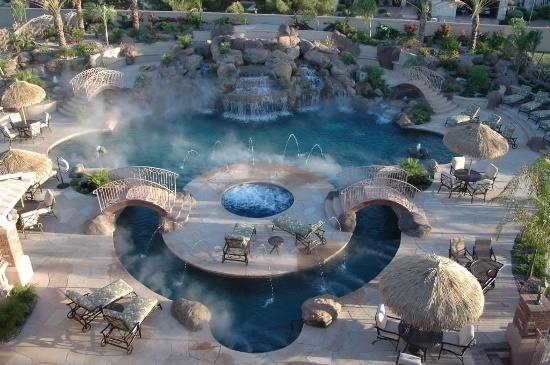 There is a really cool feeling about the hot tub in the middle of the pool like that. It is almost as big as a water resort. 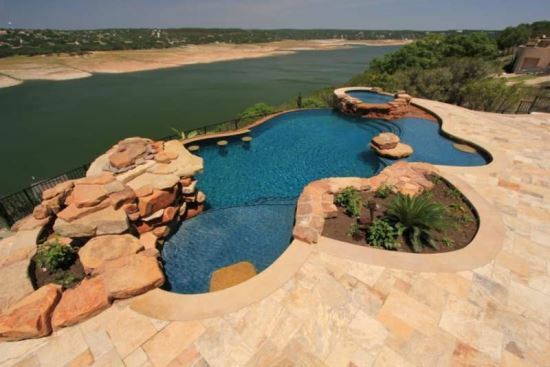 I don’t know if I could ever have a house this big but, if I could it would look something like that. 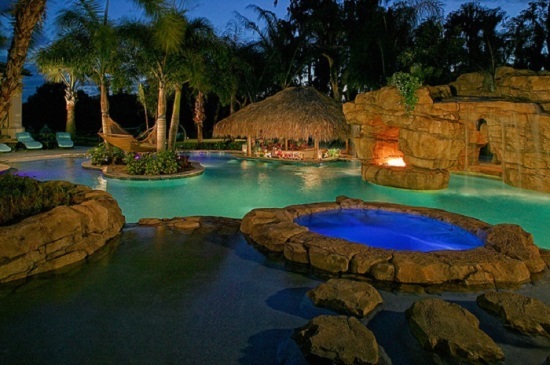 The Cool Beach-Pool in Backyard design looks fantastic. Growing up near a beach on the West Coast I have always wanted to have a pool that reflected that setting. 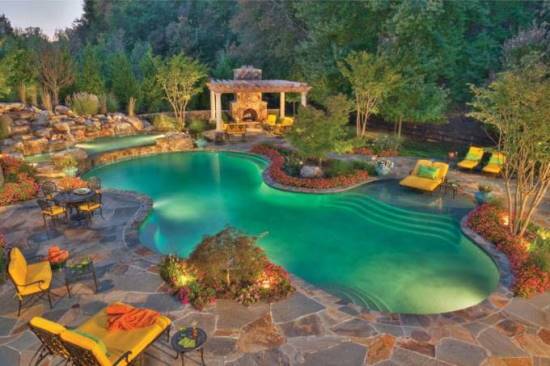 When I get enough money one day I would love to have a pool like this. Thanks for the post! 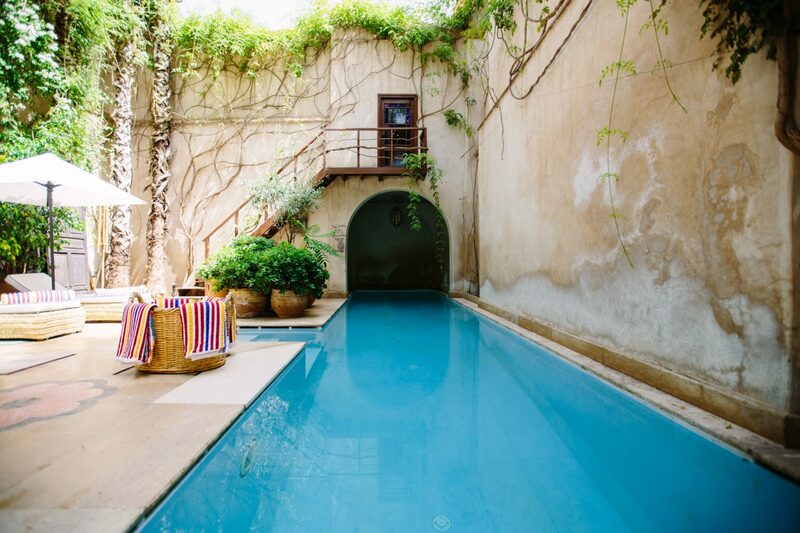 Each of these pools gets more and more ornate the further down the list you go. 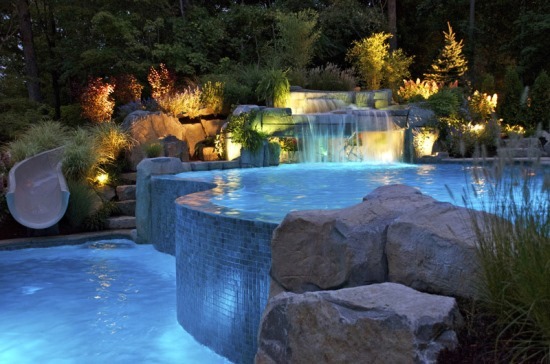 The one with the waterfall off to the left is my favorite. 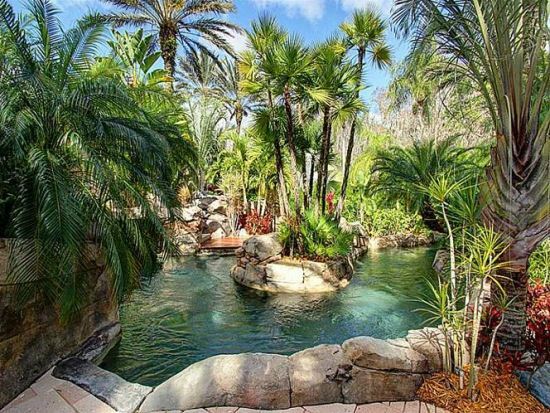 It would be fun to swim along and then float right under the waterfall. 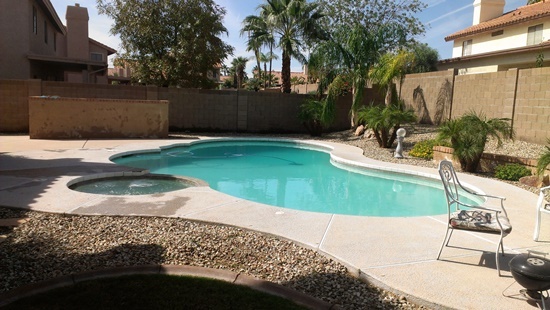 Pools #7, 10, and 15 were my favorite. 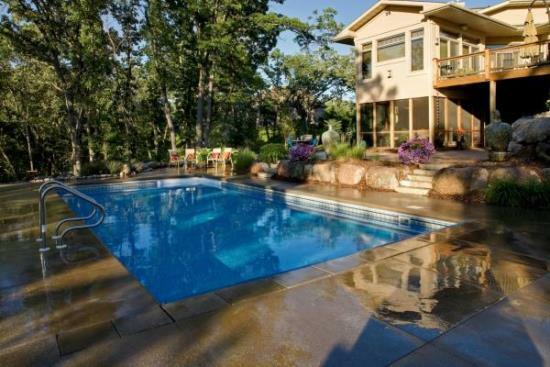 I dream of having a pool like that in my back yard someday. 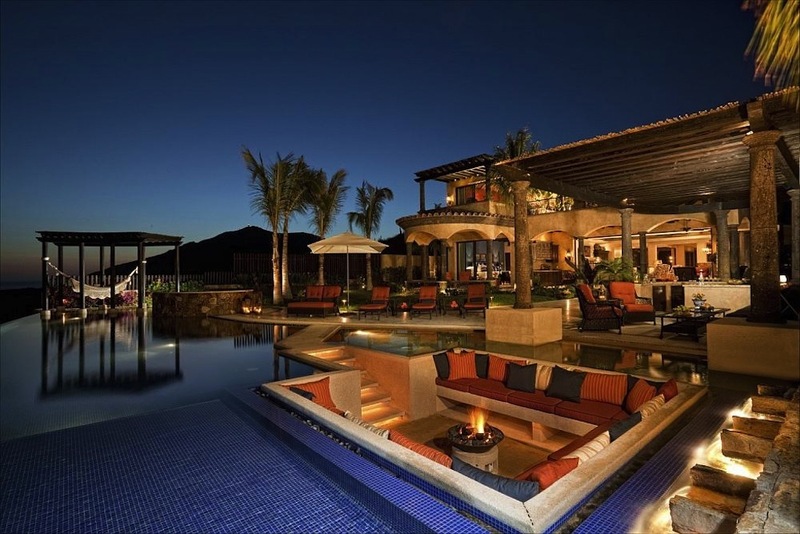 Add this to my “dream home” feature list! 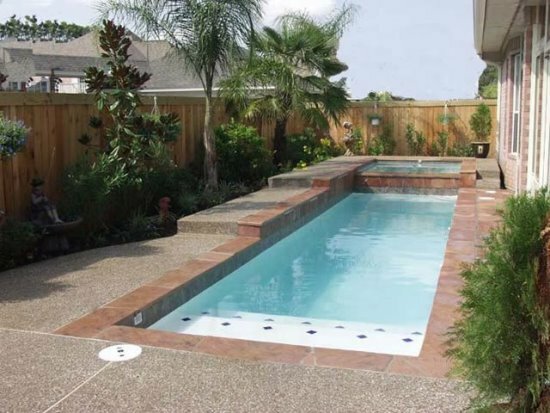 My husband and I are redoing the landscaping in our backyard, and we would love to include a pool. After seeing all of these ideas, I am really excited to get going on it. 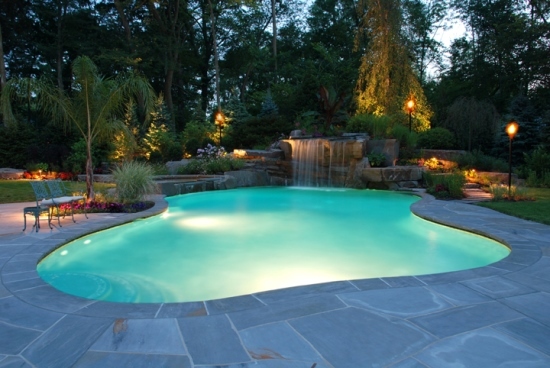 I really like the idea of doing an unconventional shape to add some variety to the pool. 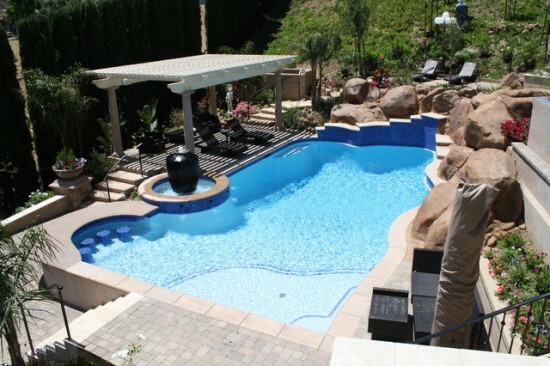 I bet it will be important for us to find a great pool company to make our desires a reality. Thanks for the information! I love all the ideas!! 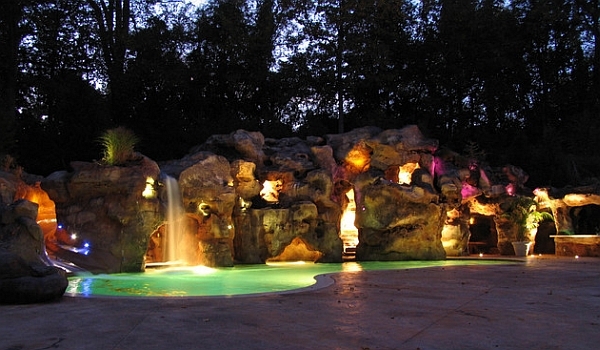 I am sure they will look great in the evening and at night. 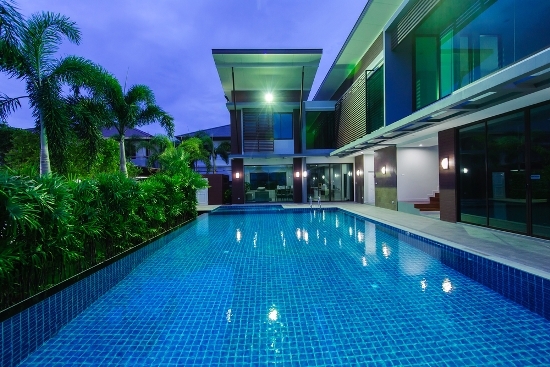 Staying away from the populaion, already makes you lonely, but with lighting in your backyard, lawn area, pool side makes your surrounding lively. 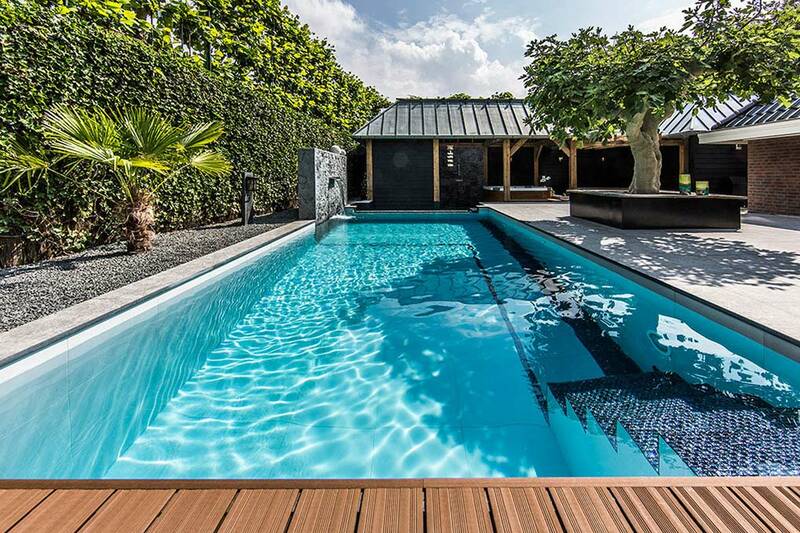 This must be the ultimate pool gallery! 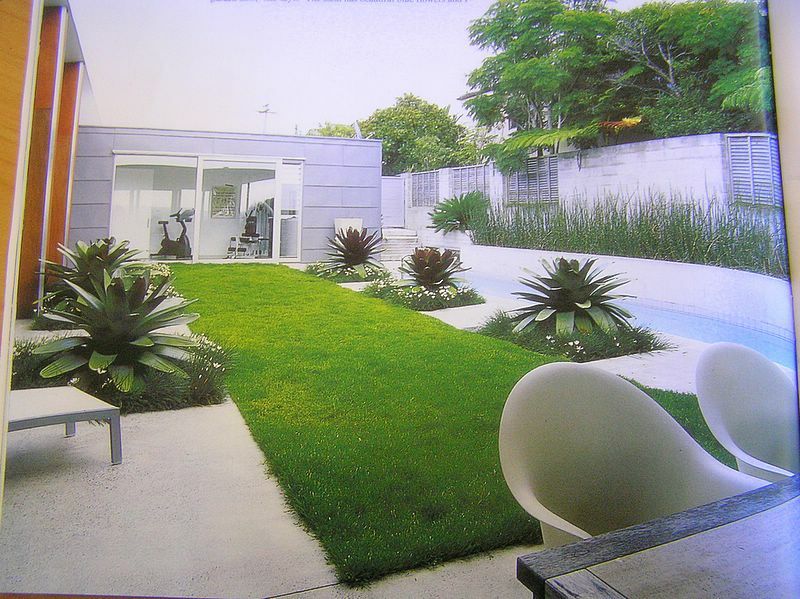 My favourites are usually freeform shaped pools but No 13 and 19 are very calming with those minimalistic lines. And I wish I’d live somewhere where I could have the tropical plants of No 38. 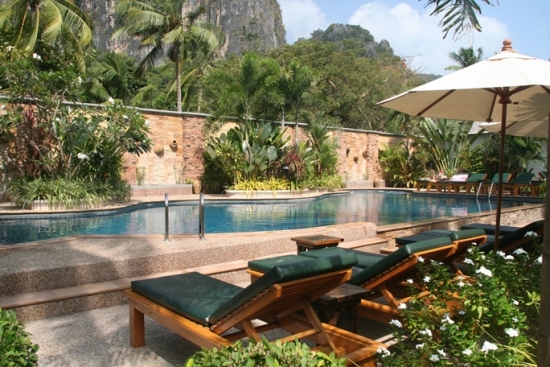 Great collection and inspiring ideas, thank you. Thanks for taking the time to put these together! My wife and I are both in love with #39 & #44. 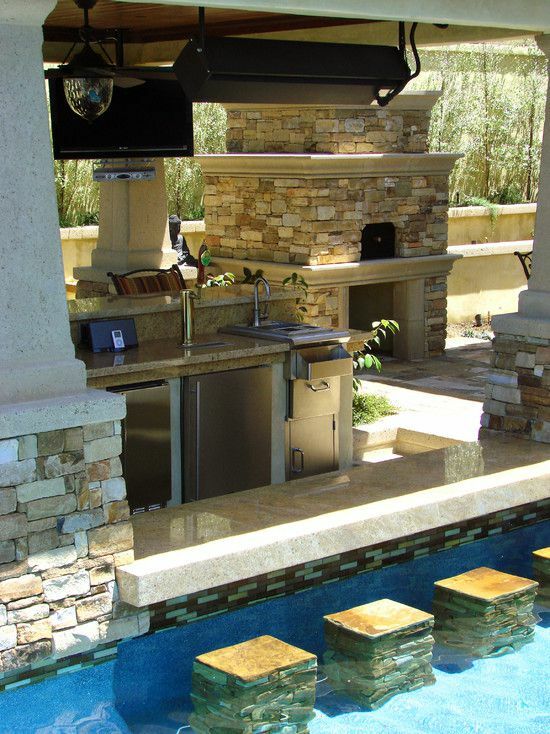 We plan on entertaining a lot so we are interested in installing an outdoor kitchen as well.